This is the tale of Lobo – a perfectly normal Romanian dog. His story takes place in Romania but might be told from all corners of the world; from any country where there are dogs without a home and living on the streets. It is an exceptional story with many twists and turns. By and large however it depicts the everyday lives led by many stray dogs – hardly noticed, unwanted or even abused, helpless and unprotected, for the most part running away, constantly hungry and always fending for themselves. In spite of everything though they are fond of humans and grateful for human contact and affection. May Lobo’s story raise awareness that these dogs are living creatures who can experience joy and pain, who never harm anyone and who in return have a right to a sorrow-free life. Maybe children who read this story or have it read to them would like to colour the illustrations and so make Lobo’s world a brighter place? And if whilst doing so you think of all of those - whether people or animals – whose lives are not colourful and happy, then these positive thoughts and prayers will surely make the world a little brighter. The story of Lobo, a perfectly normal and yet absolutely extraordinary stray dog, is a very touching tale with many twists and turns. In his search for a place in the society into which he was born Lobo runs into situations from which there seems no escape. The unexpected final events and Lobo’s journey through an exciting and moving life are sympathetically and vividly portrayed and illustrated with drawings. 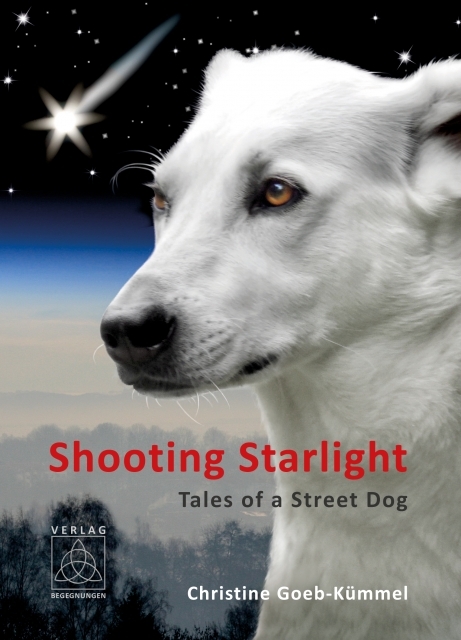 The life of this dog is, despite great adversity, constantly illuminated by a star of hope and especially for this reason the book is also suitable for children who want to fill it and Lobo’s illustrations with colour. Die fantasievolle und humorvolle Erzählung für Jund und Alt handelt von abenteuerlichen Erlebnissen eines Mädchens und ihren drei schrulligen, sich ständig streitenden Schutzengeln. Liebevoller Ratgeber zum bewussten und freudvollen Zusammenleben von Mensch und Tier. Eine sensible Erzählung über die Kraft der Freundschaft zwischen einem gelähmten Jungen und seinem Freund, einem behinderten Straßenhund.